Kermit. Miss Piggy. Big Bird. Elmo. These iconic characters have entertained and inspired for decades. But while you know their movies and songs, you might not realize how they came to be and the creative culture that made them possible. A new documentary, Muppet Guys Talking, sheds some light on the process, bringing five original performers together for the first time. The film, released exclusively online, shares insights into how Jim Henson and his team created the trust and freedom needed to make groundbreaking shows like The Muppets Show and Sesame Street possible. Entrepreneur.com spoke with Frank Oz and producer Victoria Labalme about the strategies the performers used every day, how Jim Henson shaped them and what all of us can take from those lessons. As the film reveals, each performer crafted special backstories for their characters -- details that no one else would ever necessarily know, but ones that helped the performers make them real. Fozzie Bear, for instance, was imagined as the only Muppet without a key to the theater. Oz says he defined Miss Piggy by her vulnerability and her pain. Keeping that focus helped anchor the character and give her depth, which in turn boosted the comedy. “When I ad lib, I ad lib from a deep place of knowledge,” Oz says. Related: To Harness Creativity, You Need to First Understand Its Neural Magic. 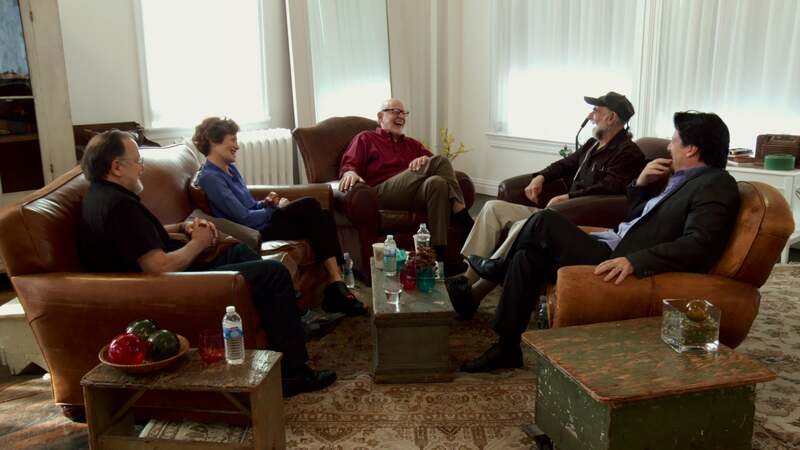 (from left) Dave Goelz, Fran Brill, Frank Oz, Jerry Nelson and Bill Barretta in Muppet Guys Talking. To build trust, build generosity first. Be kind -- and ask questions. For leaders, this can mean resisting the urge to just say "no" to a suggestion and to ask questions about it instead. Labalme suggests that leaders ask, "What’s the idea behind that idea?" to learn more about the concept and validate the person suggesting it. Don’t just dismiss it, she explains. Say, "Tell us more." Oz agrees, recalling how in his early director days he might have battled with an argumentative actor on set but realized how that stood in the way of nurturing someone’s best work. Soon he’d learn to take a moment and connect with the person.